TRAINED GUARD DOG OR NATURAL WATCH DOG? What's the best breed for home protection? Peace of mind is a burglar alarm that can't be disarmed! How to find, test, and choose a family watch dog. A trained security dog or one of these noted guardian breeds will reliably alert you and protect your family better than an alarm system; here’s why. Some personal protection and guarding breeds were designed to stop or even take down a human intruder. Others were meant only to sound an alarm and to do so vigorously until human help arrives. Home protection breeds, if properly trained, are much more reliable than burglar alarms because most intruders keep up with home security system technology and can easily disarm the system. Sad to say, many professional thieves once worked for an alarm system company and some still do! A home protection device that can only be disabled by death is 100% effective. If your alarm-guard dog is poison-proofed and has been at least minimally trained to “bark and hold” to alert you, you can sleep soundly. OK, so you know what you want to accomplish but you still have to find the right breed and the right breeder. I might also add that you must ask the breeder if in fact his dogs are capable of stopping an intruder if that is what you want. If they say yes, don’t just take their word for it; ask to see pictures of them doing Schutzhund work. If you just want an alarm dog, find out if the breeder lives in a residential area, and if so, have they had any “barking dog” complaints. A dog that barks a lot is like a burglar alarm that keeps going off. A personal visit is always best but if you can’t go there, have them send a video of their facilities, adults, etc. If you are able to visit, note whether they all rush up to you, smiles and wags, and are not at least a little wary and sizing you up. If you are buying a dog for home or personal protection, it should not view you, a perfect stranger, as a best buddy. Does the dam seem protective of her puppies? Even if you only want an alarm dog, one that knows when to bark and when to shut up, you want to be sure the breed and that breeder’s dogs will reliably alert and bark. 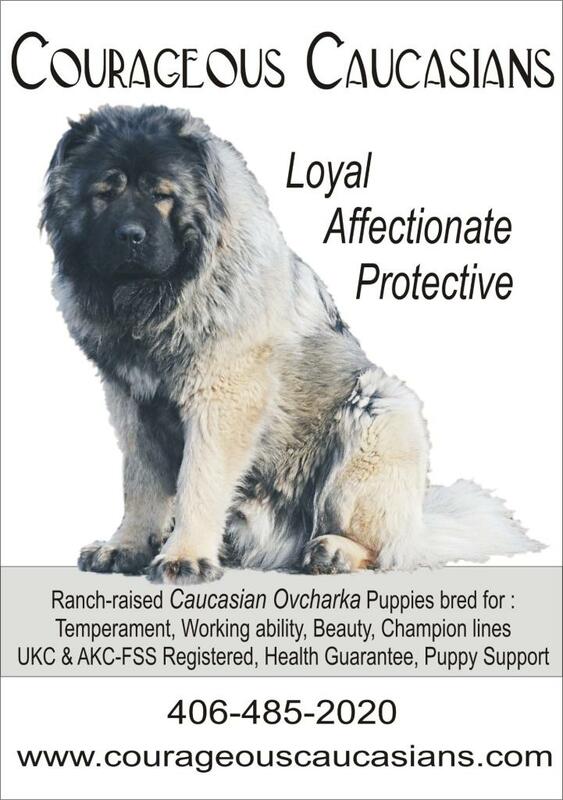 For home protection, you should consider all of the livestock guardian breeds such as the Komondor, Kuvasok, Anatolian, Maremma, Great Pyrenees, Caucasian Ovcharka, etc. These guys were bred to be independent, capable guardians, and they are. They are aloof with strangers but loving, loyal, and affectionate with their family and can make excellent companion dogs. “Flock Guardian” breeds are quite different in size and instinct from the herding breeds such as the Shetland Sheepdog, Collie, or Cardigan whose job was to collect and move sheep or cattle, not guard them. The working type of German Shepherd is very different from the American or German show line dogs. They are wary of strangers, not bred to be friendly. Tremendous situational awareness, they notice anything new or different. The “show” or pet-bred German Shepherd can be protective but is today valued more as an all around family companion whereas his working cousin is a specialist at protection. Dobermans are a handsome, very alert guard dog. Used by the Marine Corps, they were once called “devil dogs” so the old reputation of a breed is a great deterrent to a criminal. Mastiff and Bullmastiff are ancient breeds developed for guarding and while generally laid back, both are quite capable man-stoppers. The size and hard expression when on alert is usually enough to discourage any intruder so physical contact would be rare but potentially vital if the intruder is that determined. Schnauzers, Giant, Standard, or Miniature. The Giant and Standard Schnauzers are capable of stopping an intruder and the Miniature is equally protective and can deliver a discouraging bite. As in all protection breeds, the pet bred Miniatures may be too soft and sweet to be a good guard dog, but some lines are very working type in temperament. Schnauzers see everything. The Rottweiler is a formidable guard dog. Don’t be confused about the Rottweiler being a carting or draft dog. Many guard breeds once served as all-purpose dogs. That just shows their intelligence and willingness to serve. Rottweilers were bred to guard and they do so instinctively well. They are known in the trade as “man stoppers.” Early and strict training is a necessity. Bouvier: This is another great herding dog that takes care of his people. He will attack and drive off any predator who threatens his flock – or his family. One thing all of these breeds have in common is that they must be trained. If your primary purpose is to have a guard dog, do not let just anyone make friends with them. They do not need or want to let everyone pet them. Remember the purpose for which you have selected a personal or home protection breed. They are your family’s dog, not the neighborhood pet. One final thought. 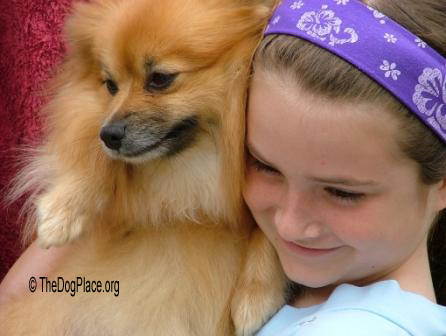 For 100,000 years dogs were prized for their ability to protect people. Do not be dissuaded by the mood and rhetoric of society and especially not by the ii animal rights position and here's some Instant Info on ii Protecting Your Privacy. The prevailingly soft temperament of many Americans today makes us much more vulnerable to crimes of violence against our person and our property. There is nothing “wrong” with protecting oneself and a well trained guard dog is always safer than a gun in the wrong hands. These breeds may surprise you so learn before you buy. WHY some are better for certain age and activity levels. 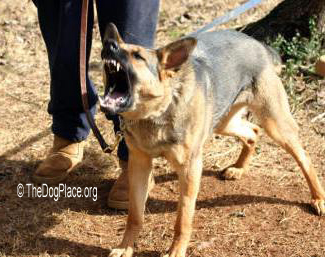 is a home protection breed or a Schutzhund titled dog.